The only family-friendly production during Roots Fest with music by Wild Rivers & Adam Cox, kids programming, live art, craft bar, ice cream social and a chef prepared meal. 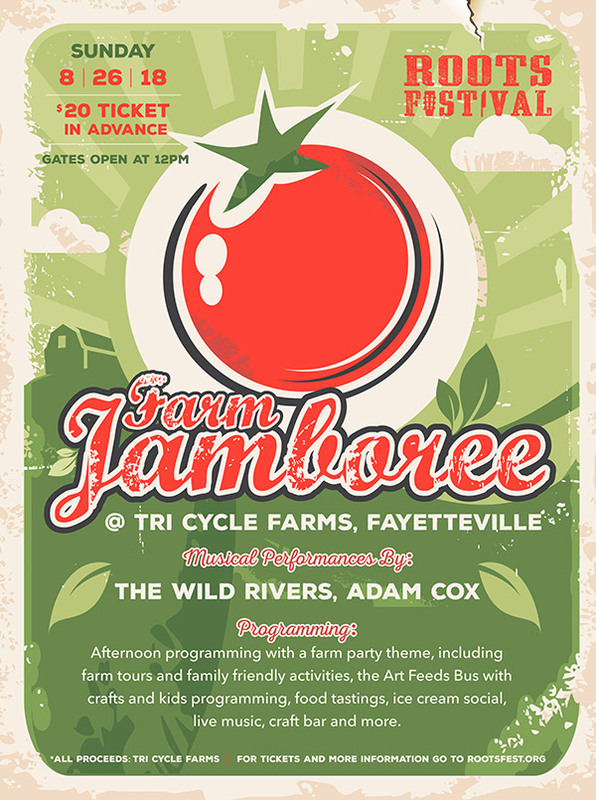 Cost of admission for the Fayetteville Roots Festival Farm Jamboree is $20. Kids are free with adult admission purchase. All tasty craft brews, beverage concoctions and ticket proceeds benefit Tri Cycle Farms mission to Grow Community Through Soil. For more details, visit www.tricyclefarms.org.